The Cincinnati Reds made another offseason move Monday, landing starting pitcher Sonny Gray in a trade with the New York Yankees. Cincinnati announced it acquired Gray and pitcher Reiver Sanmartin, while infield prospect Shed Long and a 2019 Competitive Balance Round A draft pick are headed to the Yankees. The Reds noted Gray also signed a three-year contract extension with a club option for 2023. The Yankees then traded Long to the Seattle Mariners in a separate deal in exchange for outfielder Josh Stowers. Jeff Passan of ESPN first reported the news of the Gray trade. 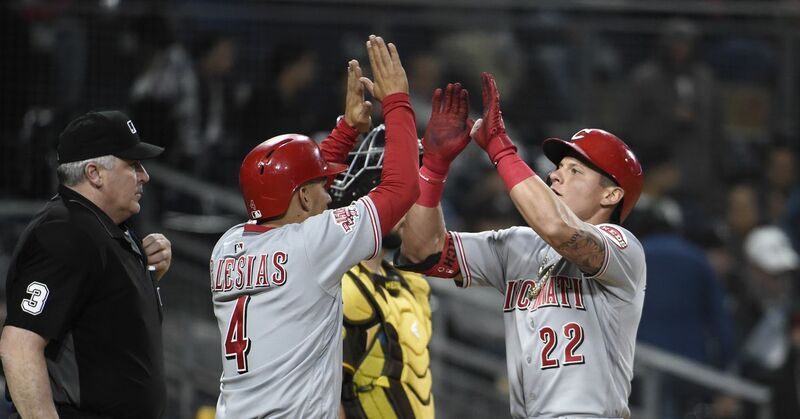 On Saturday, Jon Heyman of Fancred reported the Reds and Yankees were "finalizing" the details on a trade that would send Long and a draft pick to the Bronx Bombers. Heyman also noted the Reds were attempting to reach an agreement with Gray on a contract extension before they finished the trade. According to Ken Rosenthal of The Athletic, Gray was "expected" to agree to that extension since he was otherwise set to become a free agent next offseason. Gray struggled during the 2018 season for the Yankees, posting a 4.90 ERA, 1.50 WHIP and 123 strikeouts in 130.1 innings. He was also demoted to the bullpen in the latest chapter of what has been an inconsistent career for the Vanderbilt product. He finished the 2016 season with a 5.69 ERA and 1.50 WHIP on the Oakland Athletics, although he bounced back in 2017 with a 3.55 ERA with the A's and Yankees. Those numbers may not inspire much confidence for a Reds team that needs to bolster its starting staff after finishing the 2018 campaign ranked 25th in the league in starting-pitcher ERA, but Gray was one of the best pitchers in baseball from 2013 through 2015. He tallied a sub-3.00 ERA in two of those seasons, and 3.08 was his highest mark during that span. Cincinnati isn't likely to attract many high-caliber free-agent pitchers to play in hitter-friendly Great American Ballpark, so taking chances on high-risk, high-reward players like Gray is one way to potentially maximize its rotation. The Reds already traded for Yasiel Puig, Matt Kemp and Alex Wood and signed Tanner Roark this offseason. Gray is just the latest addition for a club looking to reach the postseason for the first time since 2013.